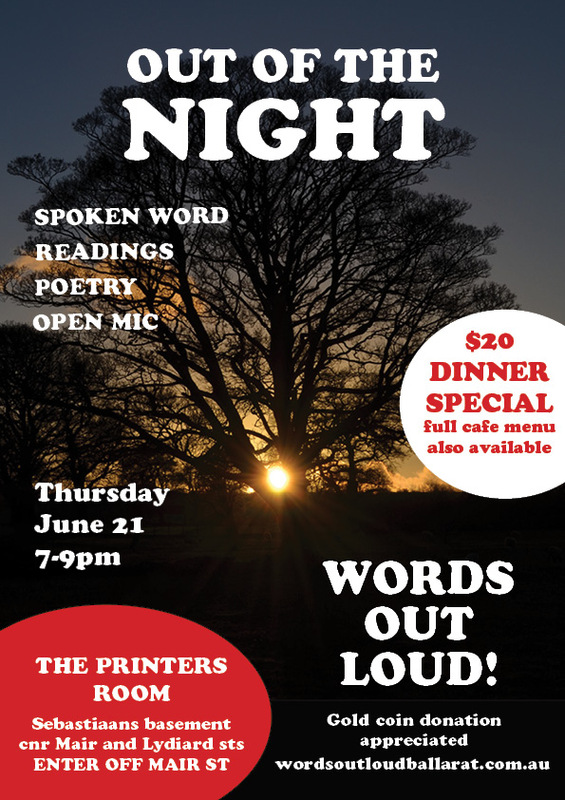 Words Out Loud dives into the winter solstice on Thursday June 21 at the Printers Room, in the basement of Sebastiaans at the corner of Mair and Lydiard streets. 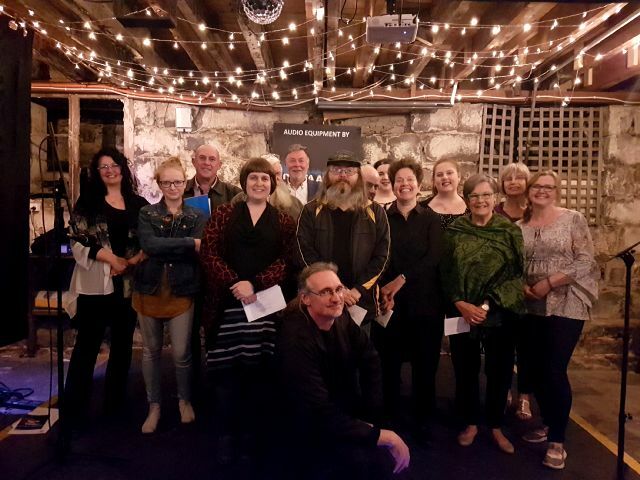 Mark the theme of “out of the night” as the wheel of the year turns, or not, with prose, poetry and stories, or simply enjoy the evening in the warm and welcoming Printers Room and the company of fellow wordsmiths and word lovers. 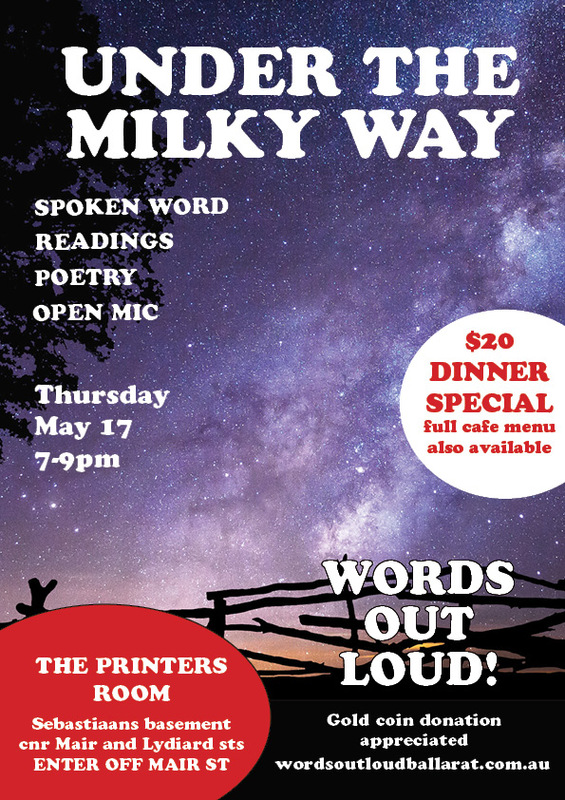 The full menu will be available, as well as a $20 two-course meal deal, so you can nourish body as well as mind and, dare we say it, soul. 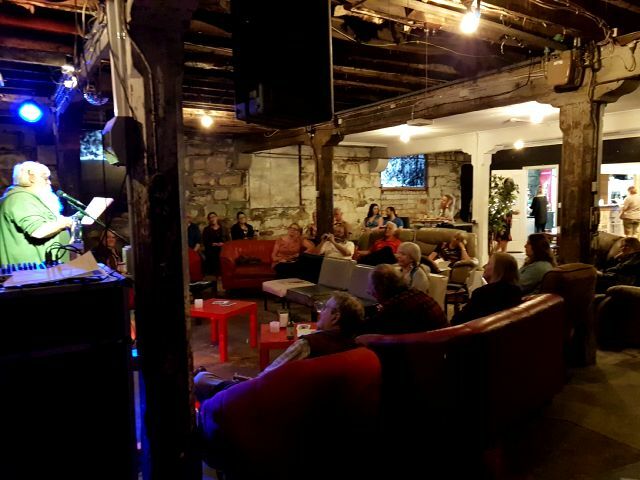 The spoken word event encourages poets, writers and raconteurs to share their work, or favourite pieces by others, for five-minute open mic sessions on the third Thursday of each month (unless otherwise advertised). The theme isn’t compulsory. 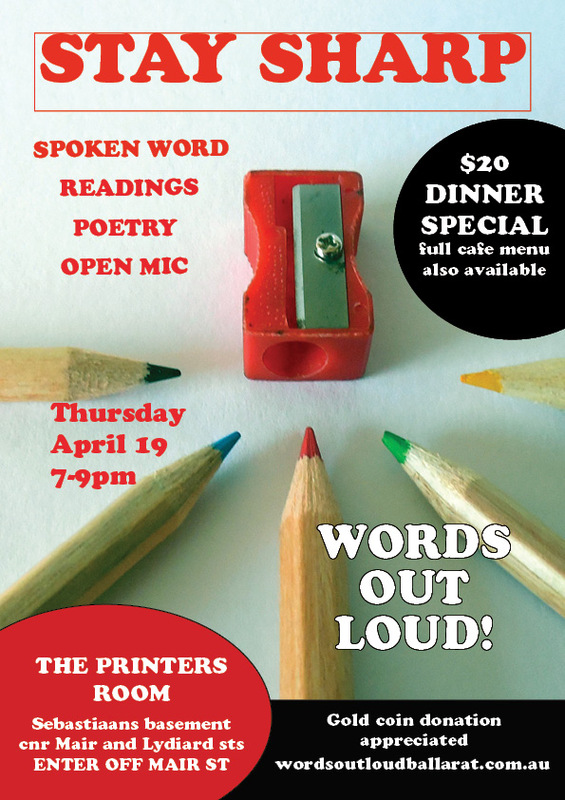 Words Out Loud is honing its edgy verse and taking the steel to its prose, as it seeks to “stay sharp” for its outing on Thursday April 19 at the Printers Room, in the basement of Sebaastians at the corner of Mair and Lydiard streets. 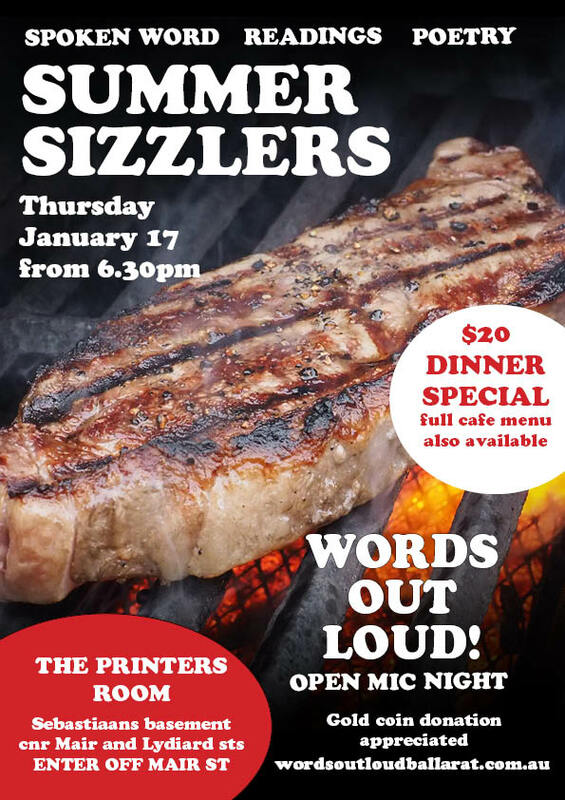 With the year sliding into the colder, darker months, the Printers Room is joining the party with food specials: all-you-can-eat soups and hot pot, with a pavlova dessert, for a mere $20! Slurp tasty tucker as well as delicious words! Enter via Mair St. Drink and food available before and during. Take in the air in the beer garden. Enjoy the show from couches, the tables or a seat by the bar. Gold coin donation appreciated. 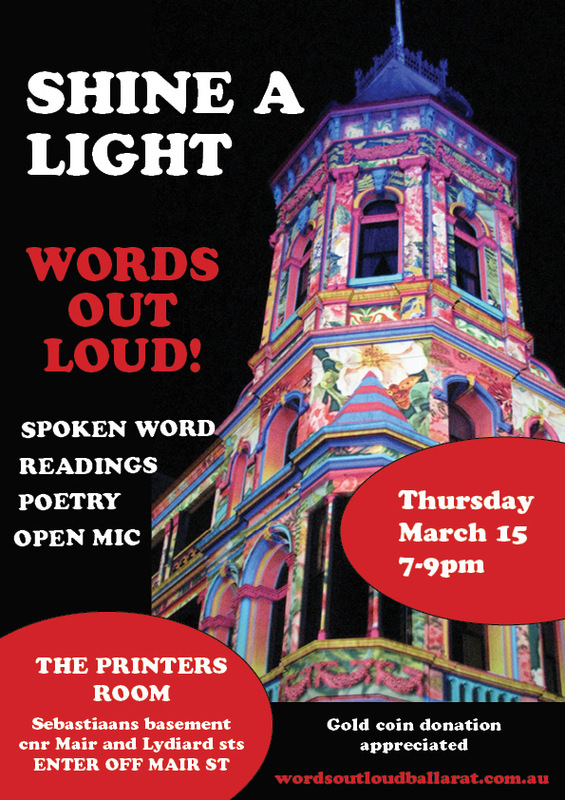 Performances begin from 7pm.